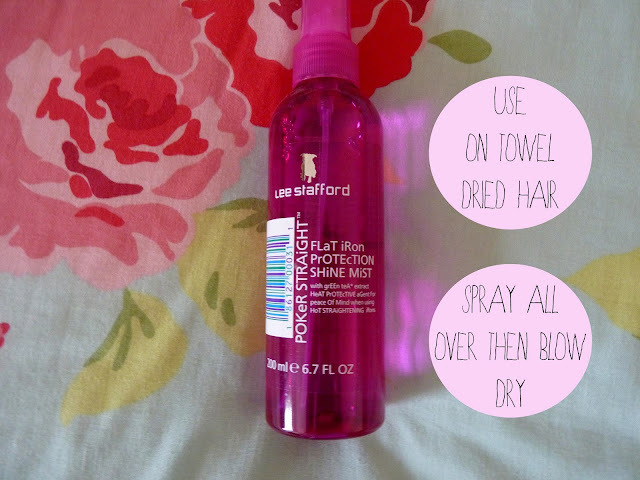 helloellaxo: Review: Lee Stafford protection shine mist. Review: Lee Stafford protection shine mist. Hello guys, if you're like me and sometimes get damaged ends from straightening a lot and blow drying... you need this product! My hair feels a lot smoother and healthy looking after just a few days. I like to section my hair whilst spraying this so i cover everywhere, then just brush through and blow dry. This will last me a while as it's quite a big bottle but when it runs out (never i hope) I shall have to get it again as it's the best protection spray I've used. have any of you tried this product? what's your favorite?